The day begins with the Party in the Pits. It’s always fun to meet the drivers, but very crowded. We didn’t make it there in time for this due to illness, but it has been fun in years past. 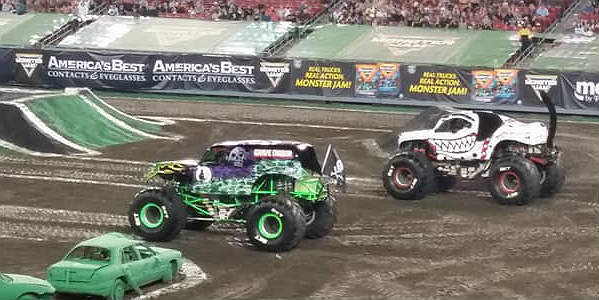 The Monster Jam competition is divided into 3 sections; race, 2 wheel challenge, and freestyle. The drivers compete to get points. the most points wins the night. That means, there are winners of each section, and an event champion. My favorite section to watch is the freestyle as it’s up to the drivers as to what they do in the 120 seconds given them. 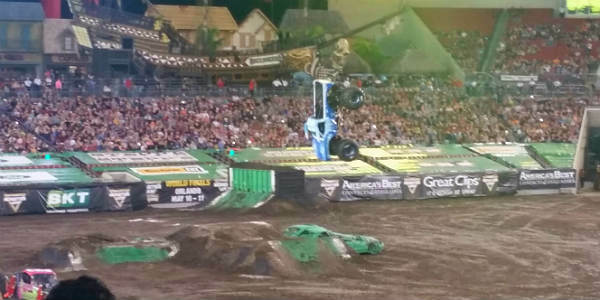 Backflips in a monster truck are the coolest things to see. Defying gravity at its finest. 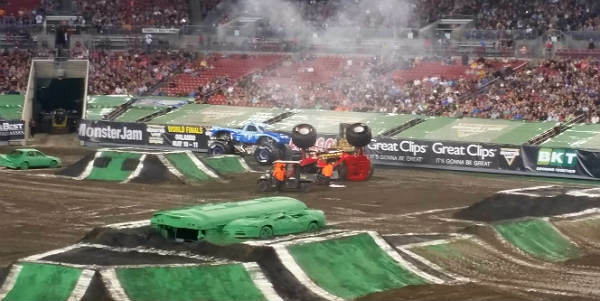 Epic fails are also amazing to see…as long as the drivers are okay, of course. Monster Jam is great fun for the entire family, but is loud, so I made the boys wear ear plugs. 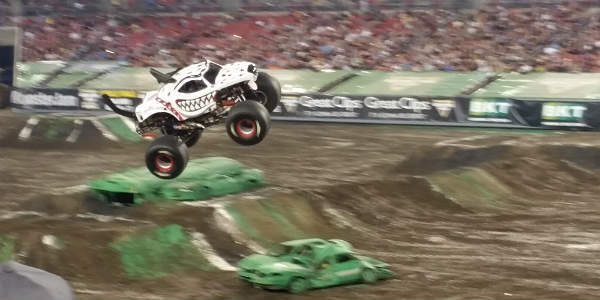 I definitely recommend it for families that love motorsports…or big trucks doing amazing things! The good news is the next date for this show is HERE in ORLANDO at Camping World Stadium on January 19, 2019. They are currently running a special discount: Receive 20% off select seats with code 20off. Not valid on VIP seating. Hurry for the best available seats! Code expires January 18, 2019. Visit campingworldstadium.com for tickets. 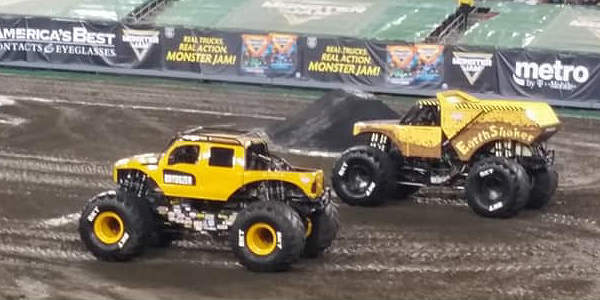 Some of the trucks and drivers will make appearances around town on Thursday January 17th, and you can find out when and where you can meet Monster Truck Drivers here. Disclaimer: CitySurfing Orlando is a Feld Entertainment and Motorsports Blogger Ambassador, and in exchange for my time and efforts in attending shows, and reporting my opinion within this blog, as well as keeping you advised of the latest discount offers, Feld has provided me with complimentary tickets to Feld shows for myself and to give away, along with other exclusive opportunities. As always, my opinions are honest, and my own.